sanctification | In the Key of "H"
This past Sunday, the Bucs wiped the floor-or I guess you could say grass-with the backside of the Buffalo Bills, winning 27-6. Despite the blowout, rookie Mike “Napoleon Quarteback” Glennon turned in another rather sub-par performance. So the day after the game, he was back grinding away at the “office,” trying to learn how to be a better QB (keep his job, keep his coaches job, etc….). Coach Greg Schiano immediately sent him home from the facility to rest, or do whatever he would do, if he weren’t a football player. 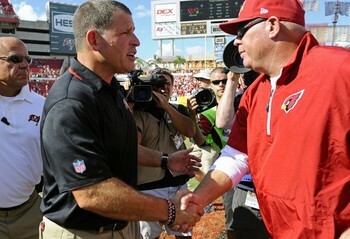 Schiano claims Glennon has been so working hard that he simply needed a break. In the end, to rest, Schiano thinks, would be more beneficial in his development as a quarterback. Football is everything for many of these athletes. Of course many wouldn’t say it is everything (“family comes first” or some cliché like that). But how can you tell that what you believe is really what you believe? Or perhaps better put, how do you know if you really believe something? Simple, look at your actions. All religions call people to live differently and to demonstrate their beliefs by their actions. But those actions in turn do more than demonstrate belief-they garner some response of divine favor and promise of heaven, or at least something heavenly. Christianity views behavior differently. Actions and behaviors are the fruit of a changed heart (Gal 5:22), but that fruit produced by God’s Spirit, does not bring about divine approval or promise of heaven. Divine approval and promise of heaven precede, produce, and motivate actions and behaviors. That’s a HUGE difference. Behaviors indicate a changed heart and the presence of belief in salvation by grace alone. So how do I know what I deeply believe? Look at my actions. Now I can’t say Schiano is as deeply concerned about Glennon’s heart as he is with his arm, statistics, and victories (though Schiano was featured in the Christian Sports Magazine “Sports Spectrum”), but he obviously sees what Mike Glennon really believes: football is everything and its okay to be consumed by it. It is only by the action, in this case, resting and taking a break, that Glennon can demonstrate that he truly believes. 1.) Jesus is my everything as opposed to church planting: I can focus on my relationship with Christ before considering what can I do to help this church start/grow. 2.) Jesus will build this church. While I, and many others will play a role in planting seeds (networking, outreach, evangelism), watering (follow up, discipleship, strategizing), only God can make this thing grow. How do I know if I believe that? I will pray and ask God to do before I try to do. I will make time for prayer if I believe this truth. I will also be able to rest. I will take a day off. If I don’t take a day off, then what I’m really believing is “God doesn’t have this thing, I’ve got to make sure everything is taken care of.” Silly to believe that, but sometimes my actions can indicate that is what I really believe. Behaviors and actions for the Christian are important, but not important in the same way they are for other religions. They are not meritorious but the fruit of, and indication of what and in whom you believe. Therefore we can use our behaviors and actions to self-diagnose what it is we really believe. 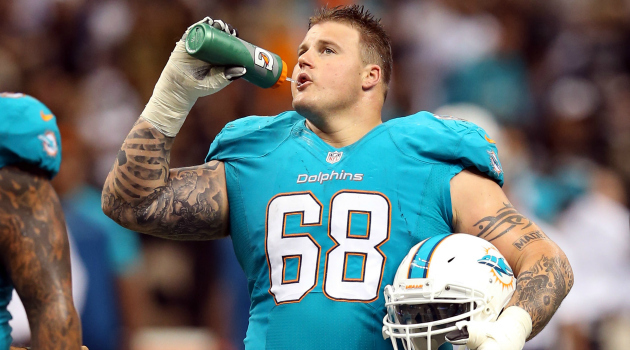 In case you haven’t heard about the supposed bullying case involving the Dolphin’s offensive lineman Richie Incognito and Jonathon Martin, already, you can read a little bit about it here, where the GM allegedly tells Martin to punch Incognito for bullying. Whether positive or negative, one result of this high profile issue, is that it has opened the door for discussion on the sports talk radio shows. It’s a time when the morality of sports life takes front stage and opens up the door for everything from a can of worms to a can of whoop@#$. Most of the discussion didn’t center on whether or not this was actually a case of bullying (although I heard today this was more classism than racism), but how one should respond when that happens. At any level. Report: Jim Rome, who’s worldview I would describe as moralistic temporary karmic, thought that Jonathon Martin did the right thing and report it. After all, what if he did fight back? Could anything good come from that? End Incognito’s career, his career, assault charge, etc? From a pragmatic perspective, he could not be more accurate. Practical thing is to report it. Fight Back: This was also present, and when there were two hosts, opinions seemed opposite. Fight back and be a man. That’s what you do. Then the bullying will stop. And you will have shown you are worthy of respect. Rome’s best contribution to the discussion was his claim that not everything is black and white (do this and that will result). It’s not a simple issue. And it’s not a simple result. When grown men physically fight each other, I’m not sure the results are the same as on the playground in grade school. Such problems compound themselves not solve themselves. But another question one host raised seemed to go a little deeper: is standing up, fighting back, of the essence of being a man? Or a follow-up question (from me) is self-control at the heart of being a man or is defending yourself physically when another is verbally abusing you? Why is it important to start with belief? Because among other things, you always act according to your beliefs. Here’s a fairly apropos verse from I Peter 2. Jesus deferred justice to God the Father. Jesus was judged unjustly so that we could be judged justly. So while he left us an example, he first and foremost initiated justification. His death on the cross shows me all the respect in the world. I don’t need your respect-though I often feel I do (disbelieving the gospel) because he has already provided that. In addition, if I entrust God to judge my bullies, I can go to the civil authorities and trust that God will use them to protect me. If not they will have to give an account. I don’t have to fight back in order to “show some respect” or be a “man.” I don’t have to prove something to you in order for you to respect me. We’re made in the image of God and that’s enough (James 3) to warrant you not verbally bullying. Of course you build respect before others by what you do over time, but you have to start with the respect that God gives you or else you’ll simply do things to manipulate others into liking you (including physical violence). We really probably have no idea of what all went on. And Martin’s parents are both lawyers, so he surely operated from their legal counsel. But instead of discerning what Martin should have done, and whether or not Martin is blameless in this, or if it all lays on the lap of Incognito or Dolphin coaches, the best question to ponder is what does it mean to be a man, or to have “self-respect.” If grounded in the gospel story, then I don’t HAVE to fight back. Now I may, and you may, but I would argue that if you or I truly believe, we won’t have to do so. Is the ability to take criticism and not respond impulsively (physically) a bit more masculine and respectable? Instead of only preparing yourself for what you would do in that situation, it’s probably just as important to prepare yourself to not HAVE to succumb to your emotions and literally throw the first punch. You have the power not to do so (Romans 6:14) and have been stripped of the sense of needing to do so as well. You could really argue that fighting back, showing you’re a man, showing you’re worthy of respect, is really insecurity dressed incognito. Incognito. As I drove to the gym two Thursdays ago, I heard the the introduction to the Browns-Bills game. At the start of the season, no one, outside of Buffalo or Cleveland would have even cared about the match-up. But as it so happens, the Browns had won 2 in a row and were on the verge of being over 500. But something else hit me as I tuned into the pre-game broadcast. Brian Hoyer, who started the season as the third string QB, had been inserted into the line-up a few games prior and was set to have a chance to win a third straight. Three game winning streaks for the Browns are not common (for the record the Bucs did have a four game winning streak last year). Yet the story didn’t end with a third string QB coming in to save the day. 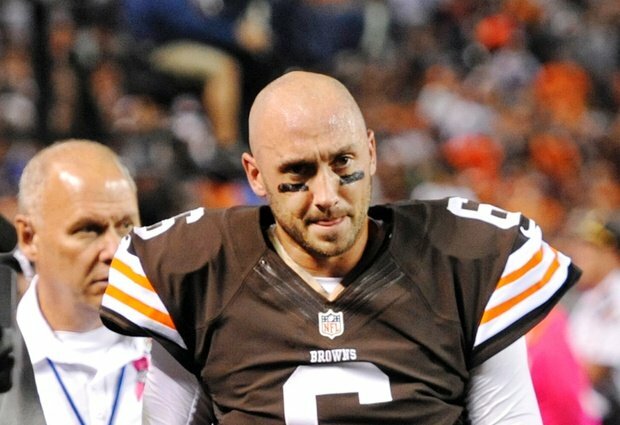 Hoyer grew up less than 20 minutes from where the Browns play. He’s an underdog, and a hometown kid, whose dream was probably to play for his home town team. And it happened. And he won. And then he slid, very poorly on a run for a first down. A defender hit him, and he tore his ACL. And just like that, the story was over. Well the Browns won the game, and may still win. Such a franchise has a special place in my heart: Bucs fans are partial to losing organizations. The story seemed like such a good fit. It shouldn’t end so soon, and with a simple slide? Who knows what could have been? We don’t. We won’t. It’s just football, but probably all of us can think of how we would have written another’s story differently. Or our own? If I had written my story, it wouldn’t have included depression, or back surgery at 25. It wouldn’t have included purchasing a house at the worst possible time in US History. It wouldn’t have been to head to West Virginia. It wouldn’t have been a number of things. Yet all of those things things God has weaved together into a story that is a part of His bigger story of undoing the curse of sin down in these parts. He’s used all of the above in our ministry here. For the record, the West Va time was enjoyable from the get-go, but it certainly wasn’t what this salt-water enthusiast had planned on doing! Of course there are other things that have happened that I’ll never know why. And surely you will too. Some stories, or at least chapters in the stories end abruptly. They really do. And we should grieve. We really should. How can we not? But there is a Story that has already been written. It is beautiful in a way that sometimes we won’t fully appreciate this side of heaven. I think we need to come to grips with that too. I once heard that a high school class in South Carolina read Animal Farm but didn’t explain to the kids that it was an allegory. It wasn’t just an animal story. It would have been meaningless if not properly understand as an allegory regarding the “equality” inherent in communism. Sometimes I think I might often misread what happens in my life in the same way. Or you may have read a book that you didn’t appreciate when younger, but now you see the beauty, and style of the author as you get older. You learn there is much more to story-writing than piecing together details. Some stories are only appreciated when you get older. The more we recognize that God has written us into His story for redeeming and reconciling the world, the easier it will become for us when chapters end differently than we would have hoped. Such is the ending of the Christian. If you haven’t followed the Bucs this year as a fan, consider yourselves, “lucky,” or perhaps a more Calvinistic expression is apropos: “Providentially blessed.” It’s an absolute circus. A tough and reasonably (people have good reasons) disliked coach named Greg Schiano, who actually was featured in the Sports Spectrum magazine volume which I wrote devotionals for a number of years back. So yes, as much as I want the guy fired, and really don’t see the same Christian character we saw in Dungy, we will be forever linked together in the minds of the vast Sports Spectrum readership across the globe. A quarterback, once considered good for a season, has recently found himself out of the picture. Literally, he overslept and missed the team picture and has now been relegated to watching the game in the “inactive” suite. As we speak he is in stage 1 of some substance abuse program, because in his words, he tested positive for riddalin when he only had a prescription for Aderall. Maybe someone confuses Tylenol for Advil, but that sounds to me a bit silly and missing a bit of info if not truth. The team has lost 3 games by 3 points or less, one on a penalty, another on missed field goal, and the third because of Napoleon Quarterback’s bonehead interception at the end of the game. I guess things could get worse, and probably will. The Lions 0-16 team will be watching anxiously for this team to descend to such a level. As much as I want to rid myself of all Buccaneers’ association, I just can’t. They are a mess, but I’m still connected to them because they are my team. They are in some sense my mess, because I live in the area. The church in Corinth was a mess. It was the Tampa Bay Bucs of churches. Bad, probably Schiano style micro-managing leadership. Locker room factions saying, “I follow Paul, I follow Apollos.” Then the super spiritual, overly proud non-denominational guy, said, “I follow Jesus.” People sleeping with in-laws. “Super-apostles” comparing themselves with Paul and finding themselves better, and then getting people to follow? Folks thinking that their gifts were better than the giftings of others. Dudes getting drunk at communion and then eventually “falling asleep,” and I’m not talking about passing out. Jesus must have done something to make the Tampa Bay Bucs of ancient churches “saints.” They were saints not based upon what they did (duh!!!) but what Jesus did for them. He purchased and washed the church with His blood, and He is the one who declares her righteous. Of course the church washed and purchased, has also been redeemed from slavery. But just like a bunch of convicts set free, we’ll soon make a mess of the good He’s made for us. Unaddressed sinful patterns don’t change overnight, despite the fact we’re no longer enslaved to them. Yet he will take the mess and make something good. Jesus takes greedy people and makes them generous. He moves sexually immoral people toward repentance and restoration. He takes skeptical folks and increases their faith. He did this in middle of this mess. There were bright spots too: evidence of Jesus work in the mess. You can give up on the Bucs. But don’t give up on Jesus’ church, more specifically its manifestation in a local body of believers. Jesus didn’t, and he still doesn’t. It has always been a mess, but in Jesus eyes, it is a “hot mess” and we’ll eventually see what we’ll become. Until then, keep taking a sneak peak at Revelation 21 where the church comes down from heaven as a bride adorned for her husband. Hot, but no longer a mess. 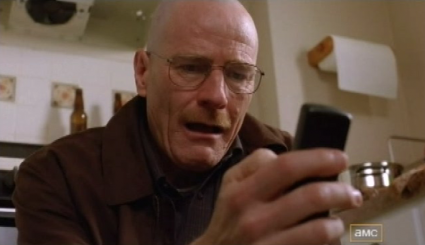 Breaking Bad season 5, the final season, is soon to be over. I’ve said before that I’ve never appreciated a show as much as this one, and the final season hasn’t disappointed. If you’re playing catch-up, there is no spoiler alert here, just a common theme: Walt’s worldly sorrow. Throughout the show, despite the continual hardening of his heart toward anything “good,” he never stops displaying emotion. He’s not a sociopath. He does have feelings. Yes at times he does things unthinkable, but there are other episodes where we see real tears running down his face. Even in this last season, despite his malfeasance and machinations, he still cries. When you see Walt’s tears, you think you see a glimmer of hope. And then you remember the name of the show is Breaking Bad. Just about everyone gets worse. People left to themselves will often show some signs of remorse, but will only display worldly sorrow. And we are reminded in this scripture passage, this type of sorrow only leads to death. If you are a Christian, you are not a Walt. You have definitively passed from death to life and that life starts now. While sanctification is definitive, it is also progressive (please don’t think Flo). The life you enter into is never devoid of struggle with the old Walt in us (or Adam to be theologically correct) who will inevitably seek to selfishly cry as a form of show, penance, or shallow regret. What’s the difference? If death is alienation from God, salvation is relationship with God first, His people next, and then what He’s doing in the world today. When Paul speaks of “salvation without regret,” he is speaking in terms of reconciliation. People have shown a sorrow that leads to repenting instead of running from God and His people. They have repented from their sins against God and Paul, and are now “back on good terms” with the latter. This type of godly sorrow moves you to deeper relationship with God and His people. Repentance always has a destination, and that first stop is God. Then His people. Then becoming involved with how God in Christ (gospel preached through the gathered/scattered church) is undoing what the first Walt, or rather Adam, did. Watching Walt’s worldly sorrow should lead me to a examine my sorrow to make sure it is truly leading me to repentance, which ultimately points me to the deepest experience of life.